Let me give you the stories of two women who are very close to me, both of whom start our tales with children from previous relationships. Both met men they thought would be perfect dads and perfect husbands. One said, "you don’t touch me unless you’re willing to commit to being the father for my child. We’re a package deal, and I won’t hurt my kid by investing in you if it’s not for real.” The other let the man dictate the terms. The first woman is married with more children, and they’re a very happy family. The second is still dating that same man, seven years later, with no real future in sight. Too often we women act in ways that jeopardize our long-term happiness because we’re scared of being alone now. And being alone is a big fear for lots of women. Indeed, our main priorities in life are relationship based: surveys show we want to love and be loved, we want to have an intimate relationship with a man, and most of us want children. Yet if you look at today’s generation of women, we’re doing things that lessen the possibility of attaining these dreams, just like my second friend did in my example above. If you think of basic economics, it’s easy to see how this works. The nature of supply and demand says that if there is a large supply of women who are willing to enter into relationships without any commitment tied to it, then the number of men who are willing to commit will correspondingly drop, because men have not historically yearned for commitment in the same way that women have. As the lack of commitment in relationship becomes the norm, women who want commitment may think they have to settle for lack of commitment in the hopes that they can win the men over. When surveys of cohabiting couples are taken, for instance, the biggest conflict is often between those who want the relationship to progress and those who simply want it to go on as it is. Yet once you have entered into that kind of a relationship, you give up all your cards. I know of another woman, let’s call her Mary, who began dating a man when she was 26. She is now 42, and has finally broken off the relationship when she realized he was never going to marry her. But now she is completely devastated, because she also realizes that she has lost her chance to have children. She wasted sixteen years of her life, and the best years at that, on this man who wasn’t really interested in anything long-term. She knew his views from the very beginning, but she just kept hoping she could change his mind. Once you’re in the emotional roller coaster of a relationship, it’s hard to get off, even if you can see objectively that it’s self-destructive. That’s why Mary stayed so long. It’s probably better to start a relationship with a game plan, just like my first friend did, so that you can avoid that roller coaster. And what is that game plan? It means not investing in someone who isn't willing to invest in you. It means valuing yourself, and your current and future children, enough to say I would rather be alone than be with someone who doesn’t want me for good. It means being comfortable enough to throw some relationships overboard, even if he does seem like a great guy. It means channeling Shania Twain, when she said if you’re not in it for life, I’m outta here. If you want to be with someone who loves you, then don’t settle for someone who doesn’t just in the hopes you can change him. And if he says he loves you, but he doesn’t want commitment, or children, and you do, then that love isn’t enough. Real love isn’t temporary. 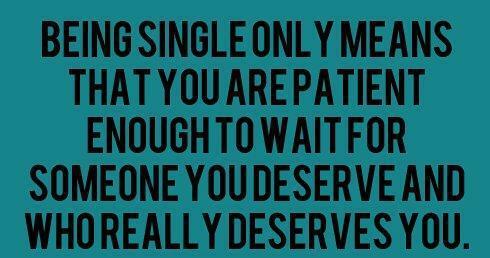 It lasts, and if a guy doesn’t want the love to last, then you deserve better. 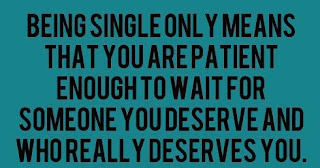 If you want real love, then don’t settle for anything less. The more you do, the less chance you have of ever finding it.